Sign up to have a FREE Atkins starter kit shipped right to your home! 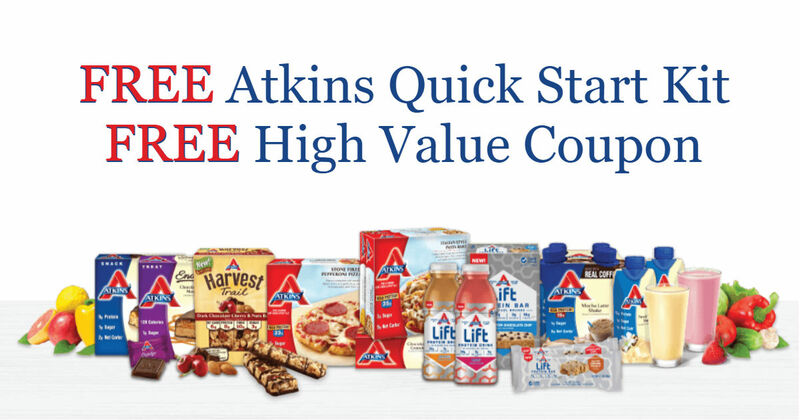 Score a FREE Atkins Kit with Atkins Bars and High Value Coupon to get you back on track! The free Atkins Kit that will be shipped right to your door that may include yummy Atkins Bars and information on their weight loss program. The high value $5.00 off in coupons can get you a FREE Product at your grocery store if used during a sale! Plus, Signing up gets you access to a unique set of resources like a list of low carb meals, foods, and recipes designed to help you lose weight fast on the Atkins 20 and Atkins 40 diet.